Hank Jenkins-Smith earned his PhD in political science and public policy from the University of Rochester (1985). He has been employed as a policy analyst in the DOE Office of Policy Analysis (1982-83), and previously served on the faculty of Southern Methodist University, the University of New Mexico, and Texas A&M University. He is a George Lynn Cross Research Professor in the Department of Political Science, and serves as co-Director (with Dr. Silva) of the National Institute for Risk and Resilience. He is also the Director of the Center for Energy, Security and Society, and co-Director of the Center for Risk and Crisis Management. Professor Jenkins-Smith has published books, articles and reports on public policy processes, risk perception, national security, and energy and environmental policy. He has served on National Research Council Committees focused on policies to transport spent nuclear fuel and disposal of chemical weapons, and he currently serves as an elected member on the National Council on Radiation Protection and Measurement and the American Political Science Association. In 2012, he gave several presentations to the Blue Ribbon Commission on America's Nuclear Future to assist in the Commission's deliberations on public acceptance of new initiatives in nuclear facility siting. Dr. Jenkins-Smith's current research focuses on theories of the public policy process, with particular emphasis on the management (and mis-management) of controversial technical issues involving high-risk perceptions on the part of the public. He applies a variant of Cultural Theory (as advanced by anthropologist Mary Douglas and political scientist Aaron Wildavsky) to understand variations in public understanding and response to a range of societal risks, including climate change, nuclear technologies, natural disasters, radioactive materials, vaccines, and others. As part of this work he has fielded a series of national surveys since 1993 focusing on public understanding and preferences regarding nuclear security, accompanied by a more recent series (starting in 2006) focusing on energy, environmental issues, and nuclear materials management. In his spare time, Professor Jenkins-Smith engages in personal experiments in risk perception and management via skiing, scuba diving and motorcycling. Carol L. Silva earned her PhD in political science and public policy from the University of Rochester (1998). She was previously employed by the University of New Mexico's Institute for Public Policy, the Department of Political Science and the George Bush School of Government and Public Service at Texas A&M University. She is the Edith Kinney Gaylord Presidential Professor in the Department of Political Science at the University of Oklahoma, and serves as co-Director of the National Institute for Risk and Resilience. She is also Director of the Center for Risk and Crisis Management, and co-Director of the Center for Energy, Security and Society. Dr. Silva's current research encompasses the intersection of a set of theoretical and methodological social science issues. She studies social valuation generally, and more specifically the translation of values into public choice. The empirical underpinnings of the social valuation and risk perception research are grounded in applied survey research methodologies and public policy analysis. The specific topics of research interest include: risk perception, environmental politics and policy; science and technology policy; climate, weather and social science, contingent valuation methodology; policy analysis; cost benefit analysis; risk analysis and assessment. 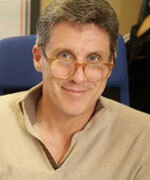 Dr. Carlson earned his Ph.D. from the University of Wisconsin-Madison in 2012. He also holds an M.P.A from UW-Madison and a B.A. in Political Science and Economics from St. John's University. 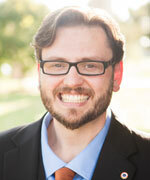 He is currently an Assistant Professor in the Department of Political Science at the University of Oklahoma. Dr. Carlson's research agenda explores the operations of public policies and analyzes their effects on political, social, and economic outcomes of interest. 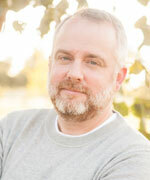 He is currently working on several projects, including: estimating the effects of school closures on academic outcomes; estimating non-market values associated with dam operations in the Colorado River System; and analyzing the relationship between educational outcomes, including post-secondary enrollment and attainment, and public program participation. In his free time, Dr. Carlson enjoys watching and participating in sports, spending time outdoors with his family, and cooking. Prof. K.K. “Muralee” Muraleetharan is the Kimmell-Bernard Chair in Engineering and a David Ross Boyd and a Presidential Professor of Civil Engineering and Environmental Science at the University of Oklahoma (OU). 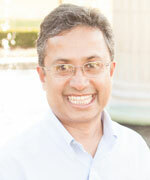 He joined OU in 1994 after working as a consulting engineer in California for 6 years. He is a registered geotechnical engineer in California, the highest level of registration available for a practicing geotechnical engineer in U.S. In California, he worked on several major projects such as the earthquake engineering design of Port of Los Angeles’ Pier 400 and geotechnical and environmental investigations for the Los Angles Metro Rail subway tunnels. At OU he has been a PI or Co-PI on research grants totaling over $10 million and participated in many educational initiatives including the School of Civil Engineering and Environmental Sciences’ NSF funded Sooner City project. He was elected as a Fellow of the American Society of Civil Engineers (ASCE) in 2006. He has served on several NSF Site Visit Teams reviewing major research facilities and programs. Prof. Muraleetharan is interested in large-scale computer simulations of infrastructure (bridges, roads, levees, port facilities, etc.) subjected to extreme events (earthquakes, hurricanes, blasts, etc. ), validations of these simulations using small-scale (e.g. centrifuge models) and full-scale testing, and resilience of infrastructure following extreme events. His computer simulation research involves scalable, parallel computing using finite element frameworks. He is also interested in computer simulations of fluid flows and solid deformations in multiphase porous media (e.g. oil and water flows in deformable rocks). 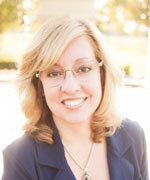 Nina Carlson is the Deputy Director for Operations at the Risk Institute. In this role, Nina manages external contracts and grants, leads outreach and strategic growth activities for the Institute, and serves as a primary external liaison to public, private and non-profit groups. Nina holds a B.A. in Government from the College of William and Mary and a Master of Public Affairs (M.P.A) from the La Follette School of Public Affairs at the University of Wisconsin-Madison. After receiving her graduate degree, Nina worked in a number of public sector positions, including as a senior policy advisor and grants coordinator to Wisconsin Governor Jim Doyle, as a senior policy analyst and federal liaison at the Wisconsin State Energy Office, and as an analyst at the Oklahoma Corporation Commission. Prior to receiving her graduate degree, Nina worked as a research assistant and associate at the American Institutes for Research (AIR) in Washington, D.C. In her free time, Nina enjoys spending time with her husband and 2 daughters, baking, and doing (or at least starting) home improvement projects. 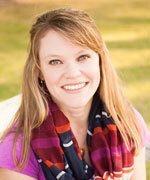 Jeane Hardy is the Executive Coordinator for the Risk Institute. Jeane brings a wealth of experience in office management, accounting, and knowledge of University policies and practices to the Institute, and particularly specializes in all things travel. 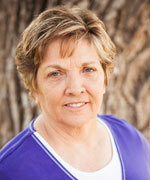 In her free time, Jeane enjoys gardening and keeping close tabs on the baseball season! 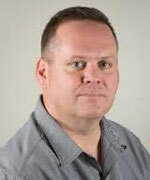 Matthew Henderson is the Deputy Director for Information Technology and Design at the Risk Institute. He has been providing solutions to technology needs in higher education for over ten years. For the last four years, Matthew has been developing websites and applications in support of education and research initiatives in the social sciences at the CRCM. 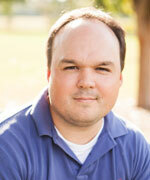 Websites he has developed and administered have exceeded one million page views a year. In his free time, Matthew enjoys spending time with his family, songwriting, and reading. Joe Ripberger is an Assistant Professor of Political Science, an Associate Director at the National Institute for Risk & Resilience, and the Deputy Director for Research at the Center for Risk and Crisis Management at the University of Oklahoma. He received his Ph.D. in Political Science from the University of Oklahoma in 2012. Prior to his appointment in the Department of Political Science, he was a Postdoctoral Research Associate and then a Research Scientist at the Cooperative Institute for Mesoscale Meteorological Studies where he worked with the National Severe Storms Laboratory and the National Weather Service on severe weather policy. Currently, his research focuses on risk and public policy with an emphasis on weather, climate, and water policy. He is working on a number of projects, including projects on climate variability and human adaptation in Oklahoma, social responses to changes in complex river systems, and a systematic assessment of the watch, warning, and advisory system in the United States. Joe teaches courses in research methods and public policy, including graduate courses on the analysis of political and administrative data. In his free time, he enjoys cycling, traveling, and cooking. His research interests include: environmental economics; sustainable development; and natural resource governance and institutional arrangements. He has significant research experience in primary data collection (e.g., surveys and experiments) and the application of non-market valuation methods. Research areas include: water conservation and management, forest restoration, biodiversity and endangered species, wildfire risk mitigation, river systems, and climate change. He has published in a wide variety of economics, environmental management and public policy outlets, with more than 110 peer-reviewed journal articles and book chapters. Dr. Edward Cokely, Ph.D., serves as Presidential Research Professor and Associate Professor of Psychology at the University of Oklahoma, and is co-founding faculty of the National Institute for Risk & Resilience. Dr. Cokely is recognized as one of the world’s foremost experts in the Psychology of Skilled Decision Making, with specialization in risk communication and inclusive decision support. Since completing his Ph.D. (2007) he has published 60+ papers on risky and high-stakes decision making in business, medicine, health, ethics, technology, and public policy, securing >$2,500,000 in continuous funding for research and student support. Dr. Cokely's professional contributions have been recognized with 17 research and teaching honors including premier awards for "major contributions to the sciences of mind, brain, and behavior" and "significant advances… improving our understanding of the needs and processes of diverse decision makers in more than 50 countries" (e.g., FABBS 2017 Early Career Impact Award; NSF 2013 early CAREER award). He also serves as Director of OU's Decision Psychology Lab, affiliated researcher at the Max Planck Institute for Human Development (Berlin, DE), associate editor of Judgment and Decision Making (2014-current), editorial board member for the Journal of Experimental Psychology: Applied, and co-managing Director of the RiskLiteracy.org collaboration that represents research groups from 28 institutions in 13 countries. In his free time he enjoys live music, science fiction, time with family, and urban hiking. Keith Gaddie earned his PhD in political science from the University of Georgia (1993) and his undergraduate degree from the Florida State University (1987). He is currently President’s Associates Presidential Professor and chair of the Department of Political Science at the University of Oklahoma, Associate Director of the OU Center for Intelligence and National Security (an Intelligence Community Center for Academic Excellence), and general editor of Social Science Quarterly. He previously served on the faculty of Tulane University School of Public Health and Tropical Medicine (1992-1996) and Centre College (2015), and was the inaugural Freeport-McMoRan Environmental Policy Fellow at Tulane (1992-1994). Dr. Gaddie’s current research focuses on the measurement of opinion formation and preference ordering as well as other methodological social science issues. 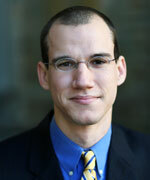 He studies the role of race, ethnicity, and culture in preference formation and perceptual and real bias in voting rights, and how institutional, legal, and systemic ordering relate to bias in allocating collective and public goods. Dr. Jones is an Assistant Professor in the Department of Economics at the University of New Mexico in Albuquerque, NM, USA. He earned his Ph.D. from the University of New Mexico in 2015. Prior to joining the faculty at UNM, he completed a postdoc at the University of Oklahoma and was also a doctoral fellow at the Robert Wood Johnson Center for Health Policy. Dr. Jones’ research agenda is in applied microeconomics with a focus on environmental and natural resource economics, particularly the epidemiological dimensions of environmental economics. ​His primary focus is on the connections between nature and human health through induced changes in environmental exposures and ecosystem services. He studies the economic consequences of shocks to the natural environment, including impacts on health outcomes, behavior, time-use allocation, environmental management, labor market outcomes, and non-market valuation. Some current projects include: invasive species connections to health and well-being; trees, air pollution and health; weather and health; understanding the economic costs of wildfire smoke; non-market valuation in coupled human and natural systems (CHANS); health costs of uranium mining; and spillover health effects of energy efficiency investments. 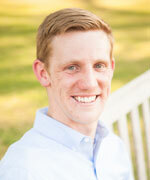 In his free time, Dr. Jones enjoys long-distance running, hiking in the mountains, and playing with his pug Tantor. 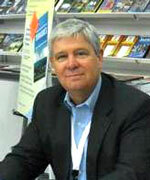 Dr. Simmons is known internationally for his work on the economics of natural hazards. His research has been highlighted and he has been interviewed by the New York Times, CBS Evening News, Wall Street Journal, Fox Business, Bloomberg TV, Christian Science Monitor and USA Today among others. He has published more than 70 articles which are widely cited and have appeared in academic journals from a variety of disciplines including engineering, sociology, law, meteorology as well as economics. Additionally, he is an op-ed contributor for the Dallas Morning News and New York Times. He has been twice selected as a Fulbright Scholar, serving in Norway in 2010 and Canada in 2014. During academic year 2016/2017, he served as a Visiting Scholar with the National Oceanic and Atmospheric Administration. In keeping with his belief that research enhances the classroom experience, Dr. Simmons has been noted for his teaching of undergraduate students. 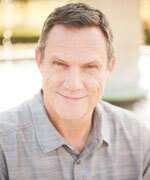 He has received numerous teaching awards and in 2012 the Princeton Review included him in Americas Best Professors. His Ph.D. in Economics was earned from Texas Tech University where he developed a research interest in the economics of natural hazards. Currently, he is a Professor of Economics at Austin College where he holds the endowed Clara R. and Leo F. Corrigan Chair of Economics. Dr. Simmons enjoys cycling, traveling the world with his wife Susan, and spending time with their children and grandchildren.